With a kitchen remodel, it can be a dizzying experience to have to choose so many features all at once. 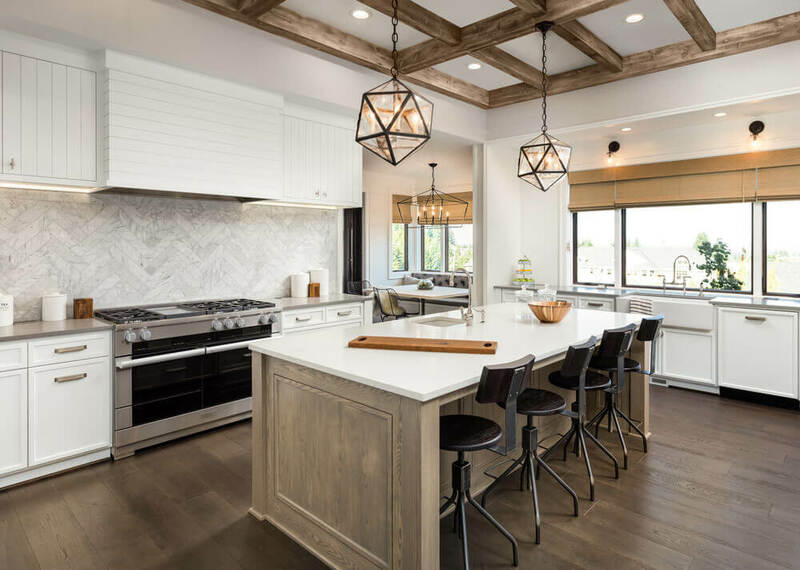 However, having a clear picture of everything involved in your kitchen design and remodeling project can give you a major advantage of minimizing any last-minute, nerve-racking decisions. We believe that the kitchen is the most essential part of a home to remodel. With this idea in mind, your home’s value typically increases with kitchen design and remodeling. In fact, depending on the housing market and the type of improvements made, kitchen remodeling can yield the most significant return on overall investment. Keep in mind that there will always be particular amenities that you will want no matter what the return. You should carefully consider creating a balance between your personal “must-have” items and a list of elements that will ultimately enhance your home’s overall value. As you start the research process, think about functionality, various product lines, and alternative materials to include the elements you prefer, without bringing down the value of your investment. Finances play an essential role in any home remodeling project. Knowing what you can comfortably afford to pay for a kitchen remodel is a key consideration before you forge ahead with a plan. We suggest always asking for a consultation and project estimate in writing to determine what your budget will allow. At Republic West Remodeling, we realize that every kitchen remodeling project is unique. We provide a detailed scope of work and corresponding cost for every customer before you make any decisions. Kitchens have changed a lot over the last several decades, and staying on top of popular trends is important. For example, with their modern, clean look, white and grey seem to be the two big cabinet colors for 2018. There is another dramatic, rich color palette also gradually making its way into the kitchen: dark jewel tones, like plum, navy, and emerald green. Storage features, such as rollouts, pullouts, cutlery drawers, and spice organizers. What If Your Kitchen Is Not Very Large? Over the years, our team of professional designers has created beautiful luxury kitchens in spaces of all shapes and sizes. We believe there are strategies for working with small spaces or even unusual layouts. Some of these options might include space-saving appliances, custom-designed cabinets, as well as creative layout arrangements. Whether you are taking on kitchen remodeling for a small space or perhaps a larger area, it is important to consider numerous aspects. Kitchen remodeling colors, cabinet style, and even the strategic positioning of appliances are just some of the many factors that you need to address as you move through the process. At Republic West Remodeling, we understand that your kitchen has significant meaning for you and your family. This special space should be designed especially for your needs. We can help you design the perfect luxury kitchen space that provides a warm, special place for your family. Contact us today to schedule your complimentary consultation.